As we await the inevitable barrage of legal and illegal fireworks later today I thought I'd give you a little something with which to pass the time. 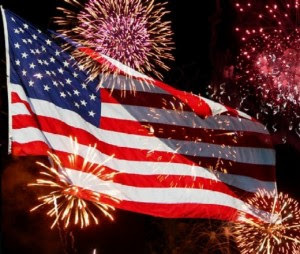 If you want to spend a few minutes viewing some pretty patriotic stuff, please go to my July 4th 2009 blog entry, HERE. Or, if you just wish to sit back and listen to Martina McBride, click that little arrow and enjoy. Saw lots of the HB helicopter yesterday. More than I've seen our old copter in years past. Hey Geoff.......go blow something up!!!!!!! If a bully bullies or tries to bully someone but nobody sees or hears him, is he still bullying? If a bully tries to bully someone through an attorney is he still bullying? Gericault, later... block party will have lots of opportunities. Have a safe 4th. Hope your booth makes lots of $$$$. the HB helicoptors flew over their parade today, quite low altitude in fact. Made several passes. The noise from them is hardly anything. When able was that low at city hall landing it was louder. Maybe landing is a lot louder than flying of course but those who complain about the HB noise are grasping at straws. They actually stayed the course too even with having to use Thomas maps instead of GPS. All in all they seem to be very "able" machines. Six... Your comment about "staying the course" over the parade without the need for GPS is lame. When they have to find a call for help in Costa Mesa in the middle of the night, without the tools that ABLE had, they'll be late getting there and, I know it's hard for you to understand, but those emergency calls in in the dark is what airbourn law enforcement is actually all about. Not parade flybys. My prediction is that ABLE will rise again in another form and that halfass HB program will find themselves facing extinction in a few months when NB and CM pulls their plug and somebody shines a light on their accounting practices. ABLE has always been honest and transparent in their operations and HB's preposal to provide service in their place is a lie that can't be maintained. It's just a matter of time. I guess I live on the wrong side of town, because I haven't seen the H.B. helicopter. Helicopter noise levels are calculated with calibrated listening devices, based on a 500' fly over. The MD helicopter HB flies is in fact louder based on published comparisons. I don't have the data handy, or I would provide the db data for your reading pleasure. Kind of a moot point though. Check Six, how would you know they stayed the course, or even found the location they were looking for?For all you know, they were meandering about smartly with no sense of purpse. I'm familiar with both units, the personnel and each units' capabilities. I can tell you that what you had was far superior. Not to take awy from the guys in HB, but their unit has long been known to be "cowboys" and they have been the punchline to many jokes. Their pilots have been known for recklessness, and in fact many of them were removed from the unit a while back because they went over the line. Fortunately, they are trying to turn their image in the industry around. You gave up a pro team to sign with the Bad News Bears. I don't have a dog in this hunt, I work in the industry, have been following this drama and decided to give my two cents.